Speculative Faith | Who Says We Can't Play In the Genetic Sandbox? Who gets to say what the human race can and can’t do when it comes to tinkering with the planet? I missed Jurassic World: Fallen Kingdom in theaters so I had a chance to see it on Blu-Ray this past week. Those are two hours that I will never get back and I will have to answer for it on Judgment Day. How this film became the 12th-highest grossing film of all time is baffling to me (actually, not really). There are thrills and laughs and scares and preposterous leaps of logic and idiotic dialogue and flagrant disregard for the laws of physics and even more dino-hybrids engineered to be killing machines and sell toys at Walmart. 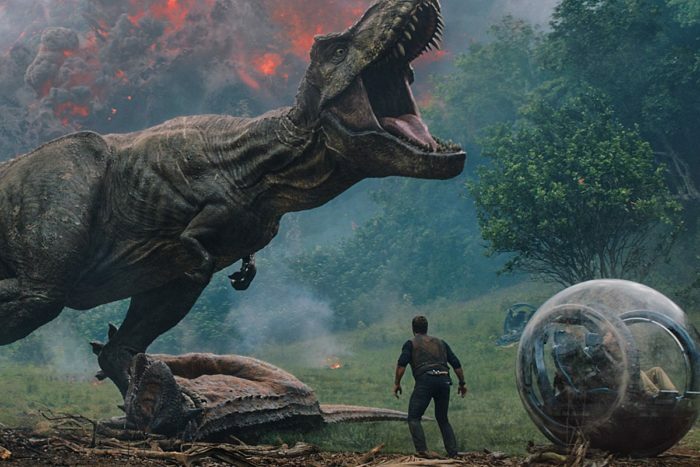 While I would love to go T-Rex on this film and rip it to pieces (volcanic pyroclastic flow vs. Chris Pratt…guess who wins? ), I would like to draw attention to the most interesting character of the whole series, Dr. Ian Malcolm, the unlikely conscience in the midst of all the teeth and technobabble. 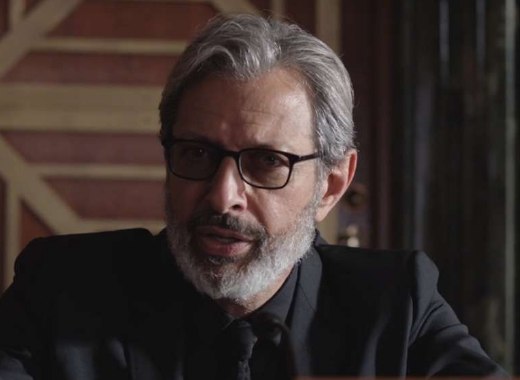 We’re all familiar with his meme-worthy reservations expressed in the first film, and in Fallen Kingdom, he is testifying before a Congressional committee about the merits of saving the dinosaurs from their exploding home island. His appearances begin and end the film, and he gets the ignoble honor of uttering the most ridiculous closing line that I have ever heard. (You can tell that I really hated this movie). Back to the point at hand: Dr. Malcolm conveys the same disapproval for mankind meddling with Mother Nature that he felt in the first film, albeit with less memorable soundbites. In his hearing, Dr. Malcolm states that the dinosaurs should be allowed to become extinct (again) and that this is a “correction.” A Congressman asks him if God is “taking matters into His own hands,” to which Dr. Malcolm replies that “God is not part of the equation.” He goes on to say that humanity has attained a “landmark technical power” and that we have “consistently proven ourselves incapable of handling it.” I’m not sure how failing to adequately install computer firewalls and keep grandkids out of harm’s way and re-open a dinosaur-overrun park before proper safeguards can be put into place correlates with abuses of genetic technology. As far as the application of this landmark technology goes, the scientists hit it out of the park (see what I did there?). They didn’t create mutant abominations; they brought dinosaurs back to life. The science was a success; the chaos and death that followed was caused by greed and haste and betrayal and hubris. Dr. Malcolm goes on to predict “man-made cataclysmic change” as a result of this technology. This is actually what technology has done since the dawn of the Industrial Age, although one man’s cataclysm is another man’s profit. What I don’t get is Dr. Malcolm’s reasoning for fearing this change. Since God isn’t part of the equation, as he claims, who makes the rules? Who gets to say what the human race can and can’t do when it comes to tinkering with the planet? He uses the invention of nuclear technology and its subsequent proliferation as an example of what kind of impact genetic technology will have on the world. Is he saying that the world should never have discovered nuclear power? Yes, horrific events occurred because of it, but what about all of the positive uses? Is our world an irradiated wasteland? Of course not. So why should the human race balk at messing with the powers of nature if we are the ultimate judges of what we ought and ought not to do? God gives mankind dominion over the Earth (Gen. 2:28). Yet this in the context of a perfect world, and sinful man’s concept of “dominion” is a far cry today from what God intended. We don’t have the capability to resurrect the dinosaurs but we have made substantial strides in genetic technology, and I’m sure many lines have been crossed that we the public are not even aware of. If you were to ask people on the street whether it would be okay to merge the DNA of a human with a horse, everyone would adamantly refuse. But what if you were to ask them why? Is it wrong just because it feels “icky”? Because it would foreshadow perceived cataclysmic change? Or is it because while our world is fallen, it was still created by God and His order must be preserved? These scientific debates that take God out of the equation are as useless as debating how hot is too hot when it comes to pepper sauce: it’s just a matter of opinion. Heck, we already do genetic engineering with food crops. There are plenty of people with bugs up their butts about GMO’s and M O N S A T O (who, in all honesty, are pretty scummy). But what I want to see is a mammoth — or if we’re being specific, an elephant with mammoth characteristics. It’s a lot more feasible than the dinosaurs, with 100% less carnivory. There’s also those little experiments where they tried to give baby chicks some more dino like traits, like teeth. I kinda want a little raptor chicken like that, though that wouldn’t be nice since chickens(or at least roosters) can be jerks and they’d probably be even worse with teeth. What would be worse would be geese with raptor characteristics. They channel their frustration from lack of teeth into extra bloodlust already. Yeah, I have heard some pretty bad things about geese. Never had to deal with one, thankfully. Though a raptor goose sounds pretty hilarious. With the genetic stuff, humans have been messing around with it ever since they started domesticating things. That’s what selective breeding/artificial selection is. But the process is much slower and maybe allows us to correct our course a lot easier. Part of the issue with more modern applications of genetics have to do with how we start to regard living things, especially fellow humans. If we learn to pretty much do anything we want with genetics, society will probably slowly but surely start to see people and animals as more replaceable, or as usable tools. At least in some regards.